This is a tremendous outing by Ryan & the Cardinals and yet another cross-posting from Archive.org. I really love Adams' skills as a singer/songwriter, and love the Cards. 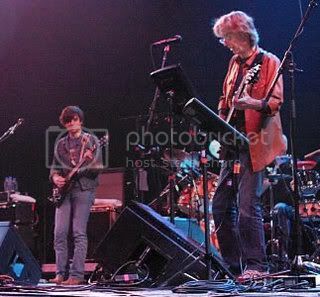 One thing that makes this really special to me is that Phil Lesh joins at the end for a gorgeous rendition of Wharf Rat > Bird Song (don't worry, Ryan handles the vocals).